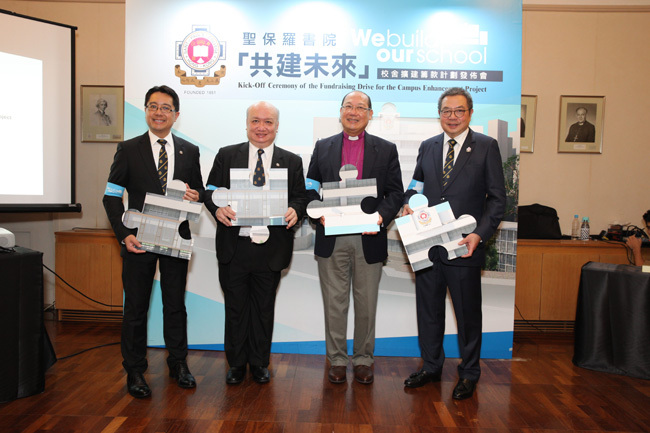 The official kick-off ceremony for the Campus Enhancement Project of St. Paul's College, under the leadership of noted alumnus Dr. Ian Chan, was held at the Bishop's House in Central on 4th December. All of the stars in SPC galaxy attended, and there was a large media contingent to document this momentous occasion, as the College moves forward in its major renovation project. 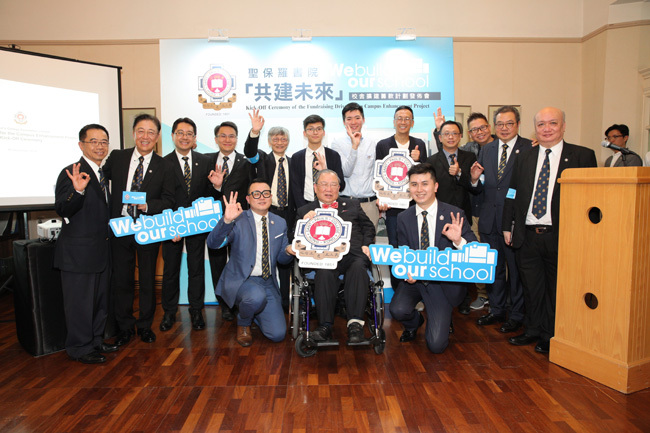 Stellar alumni in attendance included Dr. Joseph Yam Chi-kwong, former Chief Executive of Hong Kong Monetary Authority and Member of Executive Council, Mr. Sunny Lo Hoi-kwong, Chairman of Cafe de Coral, Mr. Cheung Man-sun, former Deputy Director of Broadcasting of RTHK and Mr. Lawrence Cheng Tan Shui, a famous cross-media performer and presenter. 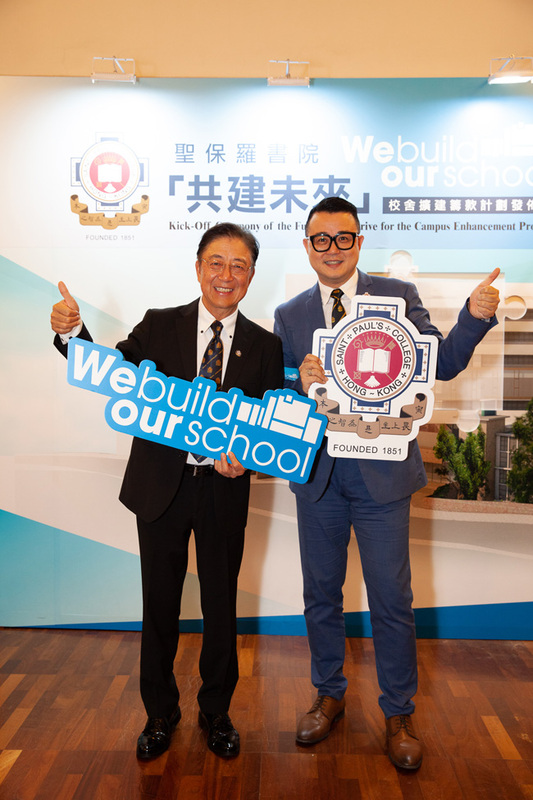 Mr. Dennis Yuen, Principal of St. Paul’s College, opened the ceremony with an address that stressed the dire necessity of enhancing the existing campus on Bonham Road. “The space is no longer enough to meet the needs of modern learning, and therefore I believe that there is a pressing need to expand and enhance the campus. 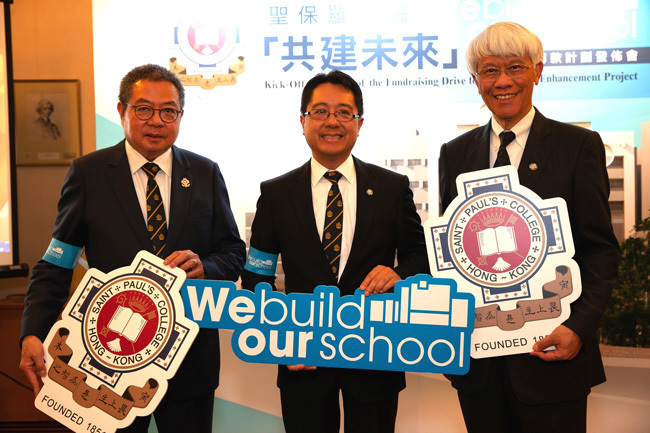 We will be able to provide students with more room for development,” explained Mr. Yuen. After the Principal’s address, the College officially announced the establishment of the fundraising committee for the campus enhancement project. 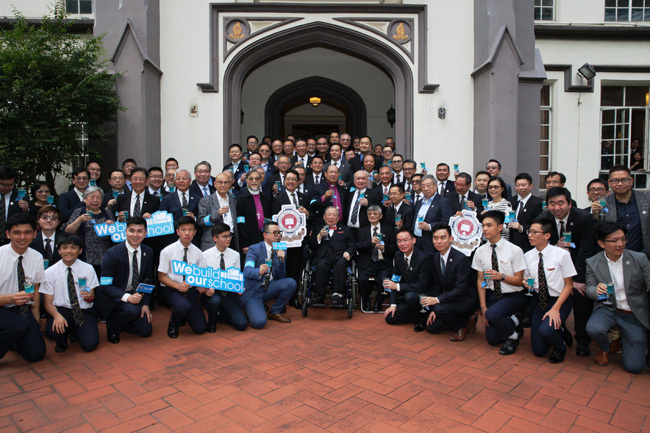 As with all St. Paul's events, the spirit of brotherhood and common purpose prevailed with a strong turnout of both alumni and students at the ceremony. The College would especially like to thank all of the old boy stalwarts who have given so much of their heart, soul and spirit to the school as we embark on this ambitious project.